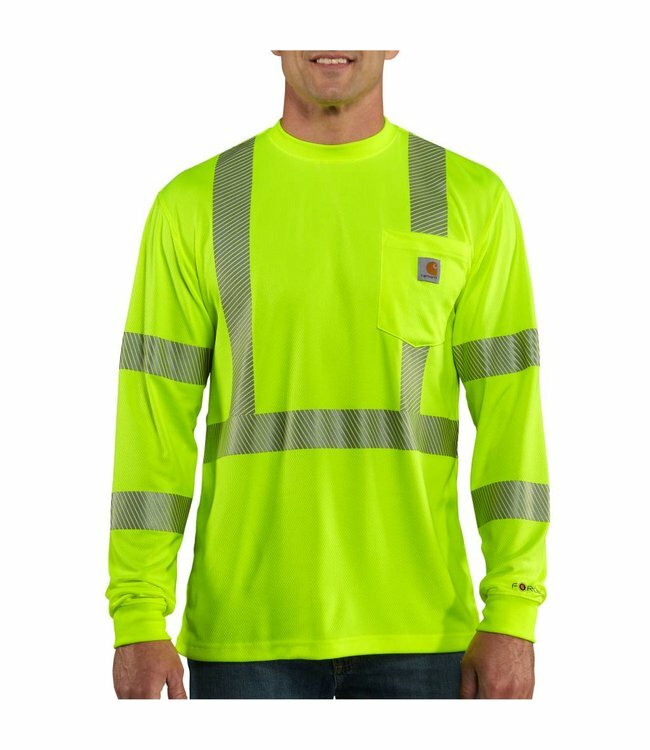 This men's long-sleeve t-shirt is designed for road crews, emergency responders, or anyone else who demands high visibility on the job. The shirt is made of 3M™ Scotchlite™ reflective material with reflective trim and is ANSI Class 3, Level 2 compliant. The lightweight fabric also wicks sweat and repels stains.